Whether it’s the mad rush of the Christmas season or the busy summer sales rearing their heads, it can be tough enough to manage staff, new inventory and customer inquiries, without the added task of hiring new staff. With so many people trying to manage new inventory and internal CRM systems, keeping everyone on task and on the same page can be daunting. But it doesn’t have to be. If you’ve been following my blog, there’s no doubt you’ve probably read my previous post on Top 10 Social Media Apps to Improve Productivity and Organization, but I thought I’d add a few more affordable/free options that you may not have heard of before but go above and beyond to give teams easy to use collaboration & organization platforms. With a cloud-based collaboration platform like Same Page, business owners can sign up for free and log into their team account on their phones, laptops or tablets, increasing organizational efficiency. ‘Team owners’ can directly message staff, post in team chat windows and even use video calling to host remote conferences with staff members to assist businesses with stores situated in different locations. Staff who are added as team members can easily upload diagrams and charts that show sales progress and even upload videos and photos of new products & services on the team page. Tasks can be given due dates and reminders can be assigned to relevant members, while the team task list can filter duties accordingly so they can be evenly distributed. Staff members are able to keep track of their progress with the official task tracker and calendars – both team and individual – are available so everyone is aware of deadlines, meetings and special events. Freedcamp prides itself on being an all-in-one solution for team collaboration and organization. Business owners can have discussions with their staff in one place instead of dealing with scattered email threads and staff members can organize files in a state-of-the-art file system, backing up all information offline. Managers can also control staff rosters, tracking time on multiple staff members across multiple days. Freedcamp gives staff members the option to assign tasks and set a goal by a certain date, notifying the team with progress updates as the goal moves closer as well. The software allows retailers to duplicate project templates, which increases productivity and eliminates the need to spend time and energy recreating homogeneous project types. This platform also has unlimited storage and allows for unlimited projects. Business owners and team members can take the tool on the go through the iOS app on Apple products. Known as the ultimate platform for project communication, Fleep gives you email compatibility just by adding someone to Fleep teams (and their conversations) with their email address. They’ll still be able to see the conversations as normal emails if they’ve not Fleep members as well. It’s an open platform, so anyone who’s a Fleep user can send messages to you, whether they’re a member of your organization or not, making it one of the easiest platforms to use for cross-team project collaboration. You can create, assign, search and track tasks within the Fleep task management system and the native pinboard allows you to pin and edit notes on the side of each conversation. Every conversation’s photos and other files can be found to the side in a conversation specific file drawer and you’ll be able to integrate video and audio calls. You’ll be able to have full message history, unlimited conversations & teams, unlimited integrations, 10 GB of file storage and native apps for iPhone, Android, Mac & Windows with the free account. For 5 €/user/month to be billed annually, you’ll have everything free in Fleep, 100 GB of file storage, the ability for your company name & logo to be shown, managed accounts & messages. It’s also flexible with API and integrations from Dropbox, appear.in, to Slack and Google Drive. This platform is known as the ‘unified, collaborative workspace’ for wikis, notes and tasks. Unified with Slack, you’ll be able to manage anything. On the document side, you can organize the pages by nesting the pages inside one another to keep things clean and organized at the same time. For wikis, you can drag and drop or embed 30+ different types content from anywhere and the wiki will update in real time. Content you can put in the wiki includes PDFs, iFrames, videos, Google Docs & Google Maps. For tasks, you can also build the perfect visual task board and integrate it with Slack. If you sign up for the free account, you’ll get 600 blocks (blocks are drag & drop content such as photos, videos, text blocks etc.) for the desktop version, unlimited blocks for mobile use, unlimited members/guest & 5 MB/file upload. If you choose the $8/user/month option, you’ll have unlimited usage/control over your workspace, unlimited blocks for desktop and mobile use, unlimited members/guests, no file upload limit, admin tools and priority support. This last platform’s probably the most expensive out of this list but it’s also the most comprehensive. For 19€/user/month with a minimum of 5 users, you’ll be able to manage everything about a project on one page from invoices and expenses, planned tasks/meetings and manage your project portfolio by using configurable statuses (such as in progress) and tags. You’ll also have access to the company news feed, file management and sharing, custom fields for multiple projects, CRM & quote management, financial & work reports, Calendar, Toogl, Dropbox & Mailchimp integrations. If you spring for the premium package at 29€/user/month with a minimum of 5 users, you’ll get access to all that plus the ability to schedule tasks & projects to individual team members, schedule team meetings into the calendar and have completed tasks go directly into the work reports, eliminating the need for timesheets. You can also schedule invoicing and send out late invoice reminders along with tracking billable hours and have integrations with both Quickbooks and Xero. With the right team collaboration and organization tools, retailers can better manage staff tasks. The aim is to avoid drop-offs in productivity by allowing staff members to spend time on what matters: keeping their customers happy during the holiday rush and expanding business. Investing a little time and energy in the short term to find the best team collaboration tools will pay dividends in the long term and ensure the holiday rush is smoother and far jollier. Technology is moving and changing at lightning speed in today’s day and age. If you don’t integrate at least some of the tools and cutting-edge platforms to help your marketing strategies and assist increasing your company’s productivity, you’re going to be left behind by the competition. But, it’s not as simple as just pressing a button or learning HOW to use a tool or application. You need to have support for adopting new changes in your company from the senior management down to IT, marketing, sales and business development and an open environment to collaborate and share the knowledge on the new applications. This blog post will cast the spotlight on the most popular cloud-based applications that your company should be using to improve creativity, productivity and efficiency. Do you have Post-It notes scattered all over your desk and have a hard time keeping track of all the paper you take notes on during meetings? 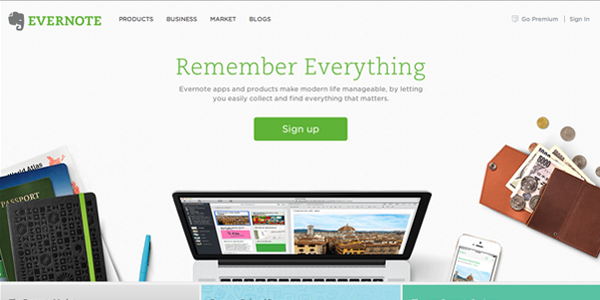 If this sounds like you, Evernote is the program for you. With Evernote, you can capture, organize and write information that can be accessed using any device, even giving you the ability to read the text off of photos of notes you’ve taken. You can save and share information in your Evernote virtual notebook that can be shared with your team through Evernote Business. You could create separate virtual notebooks for each client to keep track of business goals, campaign ideas and project notes. You can even create shareable notebooks for clients to look at, filled with informative web articles or ideas you’ve been ruminating on that you think they might like. When you’re researching on the web, Evernote’s Web Clipper can be your best friend because it allows you to capture and store screenshots of the web pages you’ve been looking at. 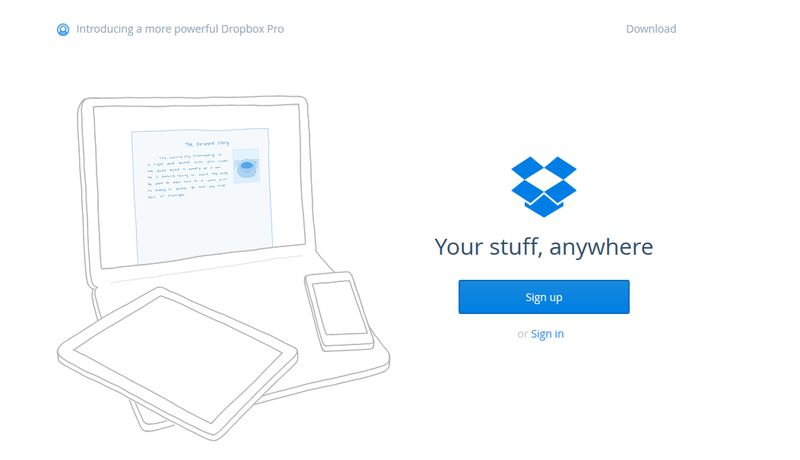 By now, you’ve probably heard of Dropbox. It’s a cloud-based shareable hard drive that you can sync files, photos, videos and projects saved on your personal computer to your work computer or vice versa. When you make a change to a file, the updated version is automatically saved to Dropbox, so you’re working on the latest version no matter where you access it from. If you want to revert to working on an earlier version, you have the option to do that also. Instead of attaching several files in an email, you can just send a link to the Dropbox folder. You can organize all your files into subfolders based on department, subject or client, so that every folder is shared with the right group of people. Google Drive is the new home for Google Docs where you can upload files and create spreadsheets and presentations to share with others. Any editing you do to the documents is automatically saved and you’re always working on the most recent version. Everyone can see the same version of the document without dozens of email threads with new attachments. Editors can highlight text and suggest changes with the comment tool and writers can hit the ‘Resolve’ button on each comment after the feedback has been incorporated. Google Drive also has the benefit of being able to open 30 different file types right in your browser, even if you don’t have the appropriate program installed. (ie. you can see .psd files even without Photoshop). Just like with Dropbox, you can organize files into different subfolders and access the documents both on and offline. Google Drive can also recognize objects and text within images like Evernote! 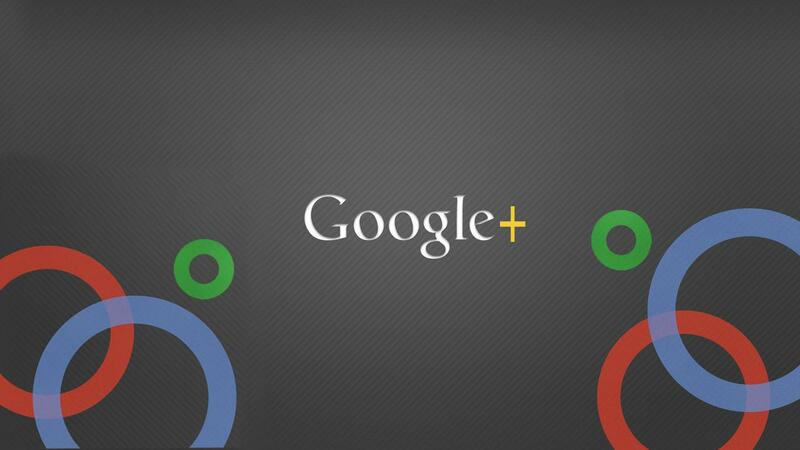 There’s a great way you can interact and collaborate with your clients on Google + by using Google Hangouts. You can have live video chats with your clients while editing a Google Doc to write down campaign ideas. You can also share videos and documents over Google Hangouts too! You can use the cloud version of Microsoft Office, email inboxes, calendars, instant messaging and file sharing. You have access to web versions of Office, PowerPoint, Excel and OneNote with some pricing plans giving you access to the online version of Microsoft Sharepoint for document sharing and collaboration. You can use the online versions in conjunction with the desktop version which will allow you to move documents back and forth without losing formatting. With an internal social network like Chatter, you can ask questions, send files back and forth and get responses in real-time without overloading the email server. You don’t have to worry about it getting out of the office because Chatter is for your company only. 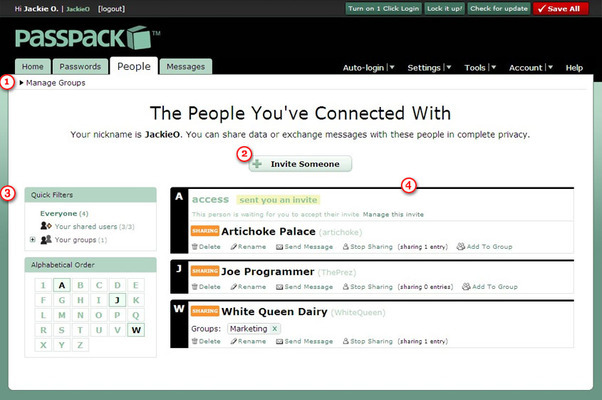 You can create groups for specific clients to ask questions and provide feedback. It’s a great way to keep telecommuting employees and those in out-of-town conferences in the loop. The enterprise social network provider is now part of Microsoft Office and you can use it to organize meetings and events and create groups for specific clients to house all the campaign ideas and project details. Used in conjunction with MS Office, you can create an organization chart for your business so that everyone knows who’s who in each department. Basecamp is a simple project management platform that allows you to centralize all presentations, documents and meeting notes in one place. You can track and assign project milestones and keep track of the progress on your computer and on your mobile devices. Basecamp doesn’t price by number of users so everyone involved in a particular project can access the platform to work together. 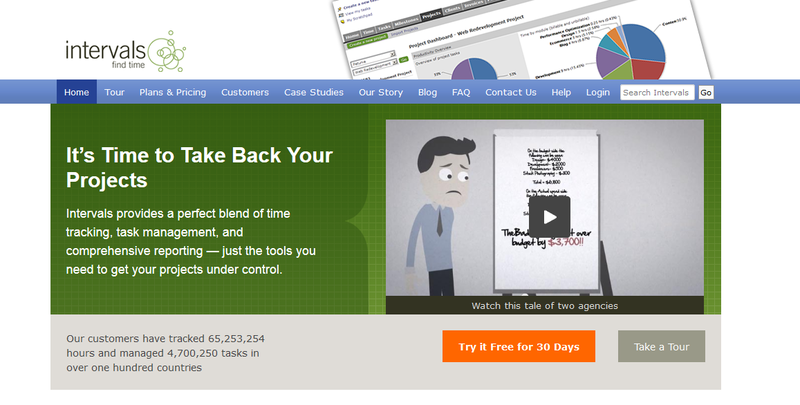 You can control who works on which project and organize them based on their departments (ie. event planning, accounting). You can use the Discussion feature to keep track of all the different conversations and use email to reply to them so you don’t even have to log in. ActiveCollab is another easy-to-use project management system that includes the ability to create invoices and manage time. You can access projects by filtering searches by clients, label, assignee and more and you can break better tasks into sub-tasks and drag and drop project milestones into certain due dates. You can even create quotes for new projects and mark them as ‘won’ or ‘lost’. If won, you can import the client contact information and start a new project based on the quote. Intervals is a web-based project management software that combines time and task management with reporting that allows you to see where time is being spent and adjust priorities accordingly. There’s a built-in timer that you can use to calculate time spent on projects. You can put in task instructions and attach any accompanying files to help with a project such as research notes or website copy. You can track the evolving changes in a document and revert back to the previous version(s) if you choose. The reports help you view which clients you’re spending the most time on, which clients you need to bill, whether you need to hire someone to help with the workload and if you should be adjusting the hourly rate. Workamajig is a web based project management system that combines task management, shared calendars, contact management, expense management, project requests, billing and more. You can created customized templates for creative briefs, tasks, estimates and more-and you have the option to host it internally on your servers or on the Workamajig servers. 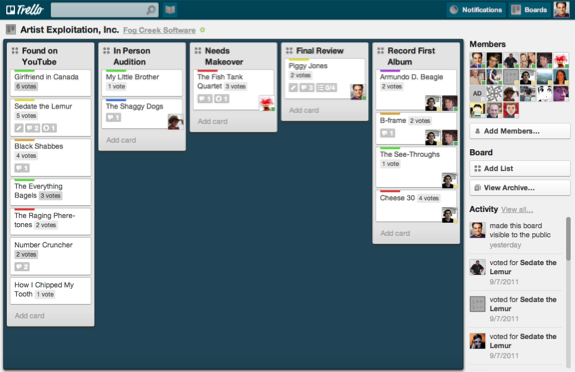 The premise of Trello, another web based project management systems, is that you write tasks on “cards” like digital Post-It Notes and attach them to different boards labeled “Need to Research”, “Delivered to Client” etc. You can create as many cards as you want to keep track of where projects are at, assign people to them and once the projects are done, you can move the cards from “To Do” to “Done”. Create cards for different content marketing projects and even create cards for employees to store meeting notes and feedback that they can easily access rather than interrupting them via email or in person. You stay updated on all your different boards and how projects are doing using Trello’s mobile app for iPhone and Android. You can create and manage your entire editorial calendar with Kapost Calendar and even export them to your everyday work calendar (iCal, Outlook, or Google). You can assign different user permissions to all involved in the content management process, from all access to view only AND you can add clients so that they can take a look and give feedback and their approval. When you have a content idea, you can email the Kapost platform for editors to review, approve and then it goes into the editorial calendar. You can categorize all content according to campaigns, content types etc. Zerys is a content marketing and project management system that connects your company with qualified writers looking for opportunities to create content for your clients. Post writing jobs, sample writers based on their expertise, review their work, negotiate rates and publish their work. You can create questionnaires to ask clients what they are looking for in a project and you can then use that to create a job description for writers. It will help generate a lot of content for client blogs in a short amount of time and you can add your own company’s writers to the system. 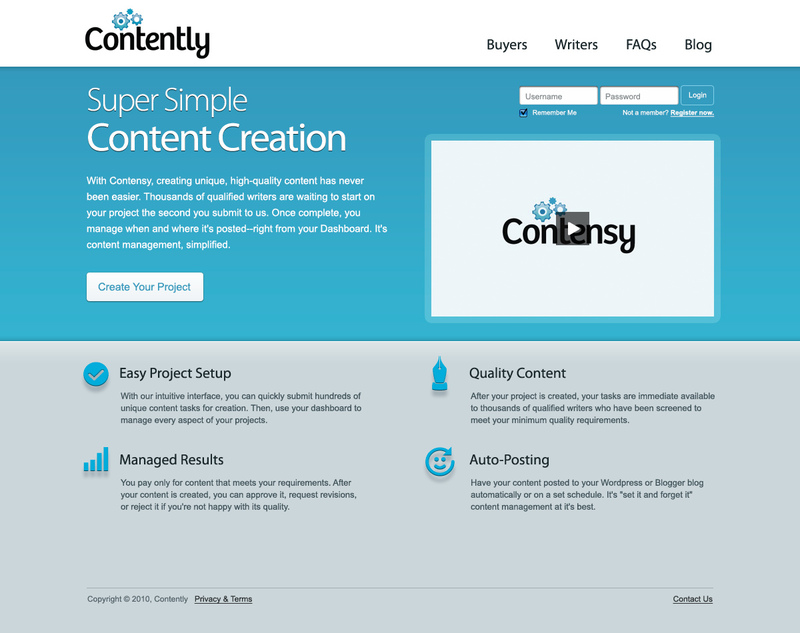 Contently offers an editorial project management program along with a marketplace that connects brands, agencies and other companies with the talent that can complete content projects. Using Contently, brands gain access to qualified writers that have already been vetted and writers gain access to self-promotional tools and visibility into how their content is performing. PassPack allows you to store all of your agency’s and clients’ passwords, grant access to team members on a need to know basis and it saves time by allowing you to log-in into the sites with the one-touch button to login that also works on mobile. 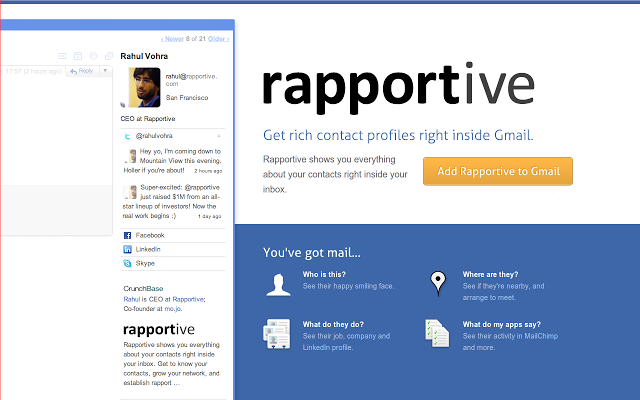 Rapportive allows you to find out more about your email contacts by providing info about their social media activity right inside your Gmail inbox. You can see their interests and hobbies and connect with them on a variety of social media platforms. It helps you put a face to the name of unknown contacts in email, use recent tweets and their LinkedIn profile to find common ground to help you tailor your conversations accordingly and follow them via social media without getting distracted and pulled away from your inbox. It’s a screen capture, sketching and annotation tool that makes explaining a project to a client much easier. 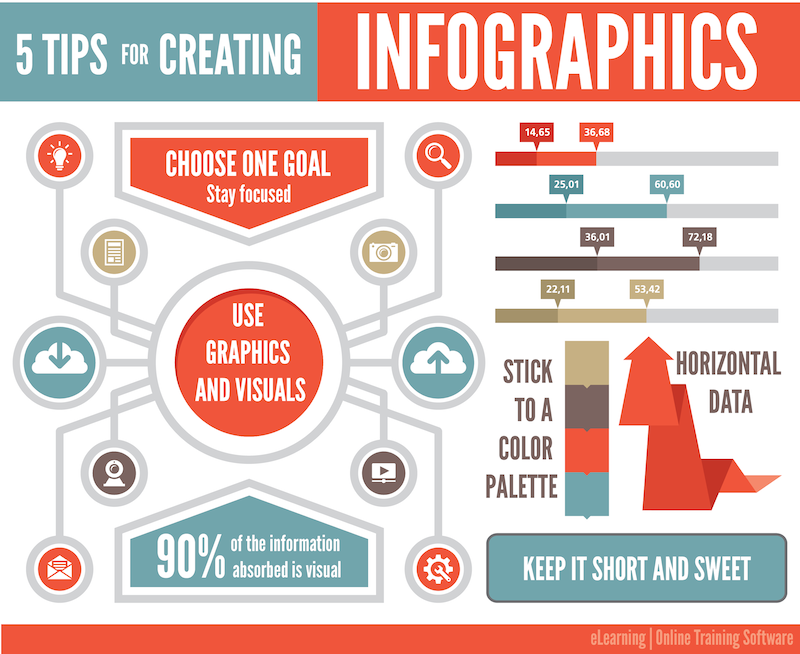 You can overlay text, draw simple arrows, shapes and lines and blur image sections to draw attention to certain areas. As Skitch is also an Evernote product, you can save all your Skitch notes and share them between all your devices. 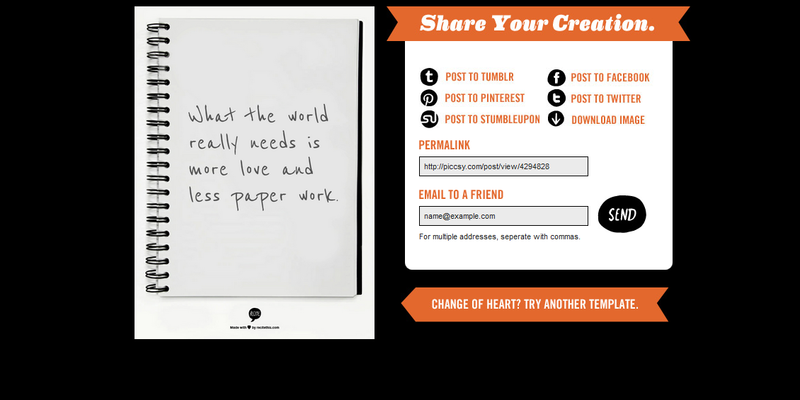 You can use Skitch screenshots in blog posts, reports and in emails to your clients to help you illustrate your point. 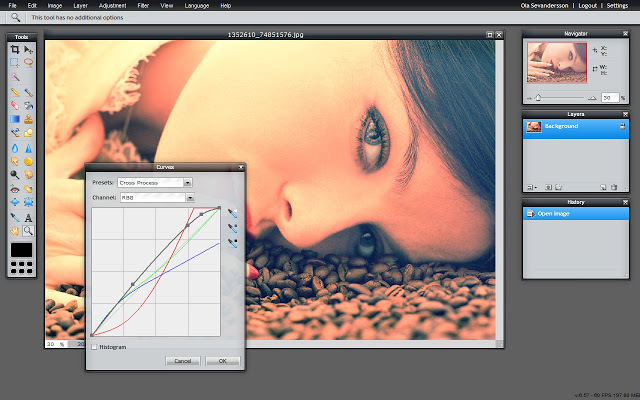 It’s a web-based, desktop and mobile photo editing tool that allows account managers and social media strategists to create and edit images without having to resort to spending large amounts of money for a Photoshop license. You can add Pixlr to Google Drive, edit your photos and re-save them on the Drive and you can easily edit any online image by clicking and dragging it to Pixlr using the Firefox and Chrome extensions. You get the mobile app to edit photos on the go when you’re away from the computer. Pocket lets you save everything online that you want to read later and tag them with different tags so they’re easy to organize and find when you’re ready. Pocket syncs content automatically across all your devices, so you can read it with or without an internet connection. You can even sync Pocket bookmarks on your mobile devices to Evernote and manage your articles along with notes and ideas. With DocuSign, you can upload a document you need signed, indicate where a client needs to sign and the date and send it off with a customized note. Once they’ve signed off, you’ll get an email notification and you can start the project. You can upload all kinds of contracts, NDAs and employee handbooks into DocuSign and save time and money on the printing process and turnaround time. Check back here every week for more posts on how to become an expert on Twitter, Facebook, Pinterest, Google+, Instagram, content development and management AND learn about new tools you can use to make marketing and running a business easier!